ASI is the interior fit out subsidiary of construction conglomerate ASGC established in 1997. ASI was born out of a vision to deliver exceptionally smooth turnkey Fit Out solutions to High-End. ASI continuously strives to exceed our customers’ needs and expectations by delivering quality interiors, we believe that collaboration with our clients establishes a sense of trust and transparency which leads to the lasting relationships and repeat business which we have enjoyed over the years. We believe in earning trust through reliability in our promise, quality of our product and operating to the highest level of safety. Our ISO9001:2015, ISO 14001:2015 and OHSAS 18001:2007 are testament to our working practices. 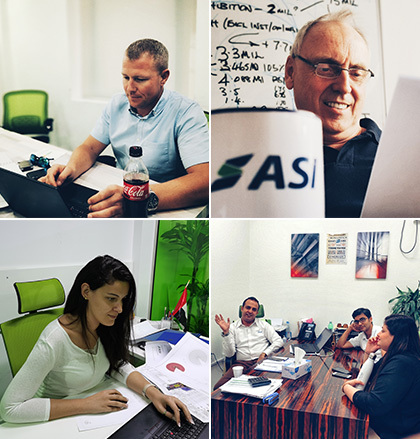 Having a state-of-the-art woodworking factory in DIP as well as in-house capability for the majority of the Fit-Out trades, gives ASI an advantage in the market to differentiate ourselves from others. 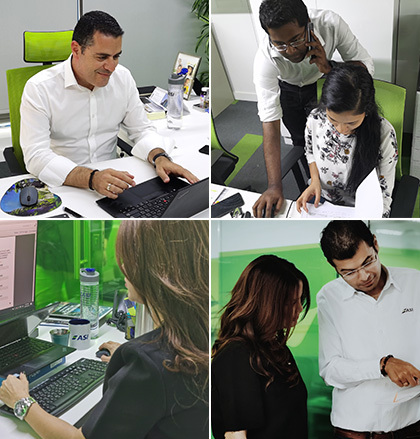 Our experienced management team continuously seek improvement to the efficiency and effectiveness of all our operations. Innovation is a fundamental principle for the entire ASGC group of companies and ASI is no different. We constantly search for new and innovative methods to deliver our projects. ASI’s entire operations are centered on building and maintaining valuable client relationships. We strive to understand our client’s current and future needs at all stages of the project. Part of our responsibility to our clients is to identify alternative methods of construction, quicker and more economical processes, and to help them identify future requirements within the project’s scope. We try to understand these requirements before construction commences, thus ensuring that unforeseen project variations and demands are integrated into the desired project outcome. As a result of creating and nurturing these client relationships, a high percentage of our projects stems from repeat business. We have a rich culture of sharing new ideas and dedicate ourselves to exceeding client expectations in project delivery. With a diverse and innovative portfolio of projects, we have gained an enviable reputation within the UAE Fit Out industry for delivering projects with an uncompromising quality. Our ISO 9001:2015, ISO 14001:2015 and OHSAS 18001:2007 certification is testament to our quality dedication. We are committed to delivering projects that have economic, social and environmentally sustainable outcomes, benefiting clients and end users alike. As a result we maintain a carefully selected network of suppliers who share our mutual vision for an economically sustainable Fit Out solution.